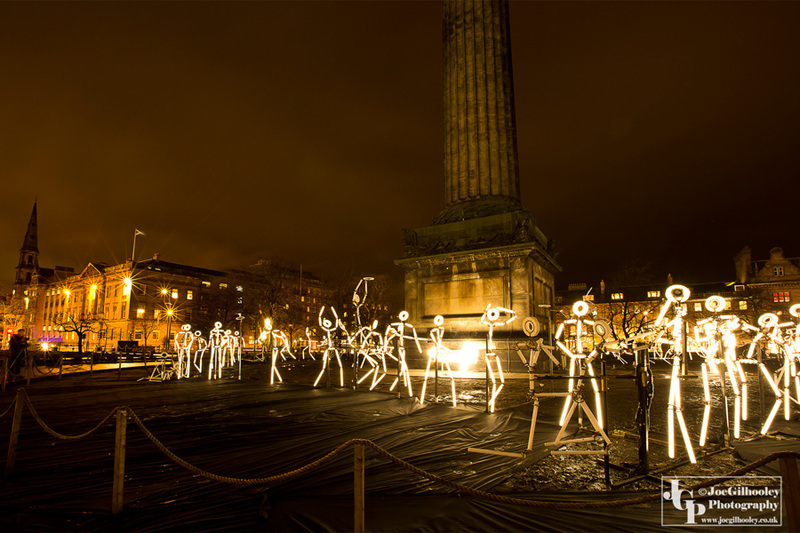 4th February 2016. 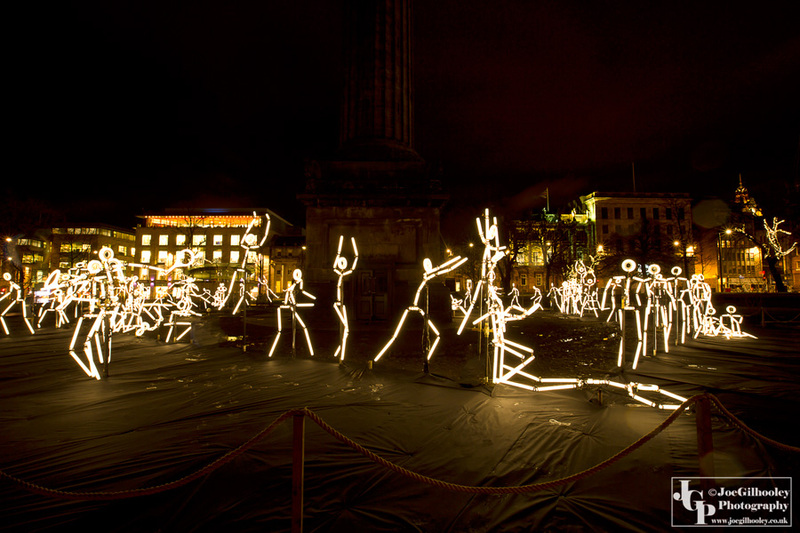 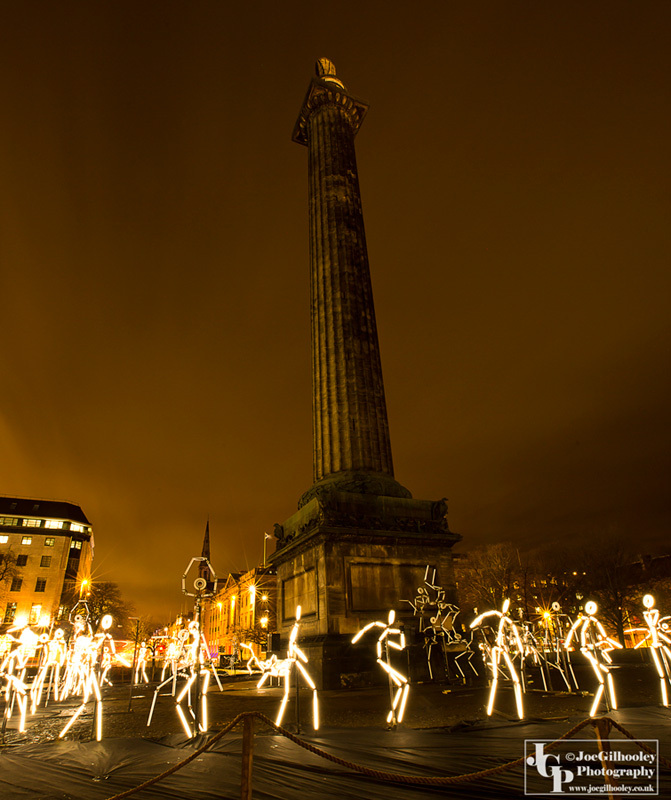 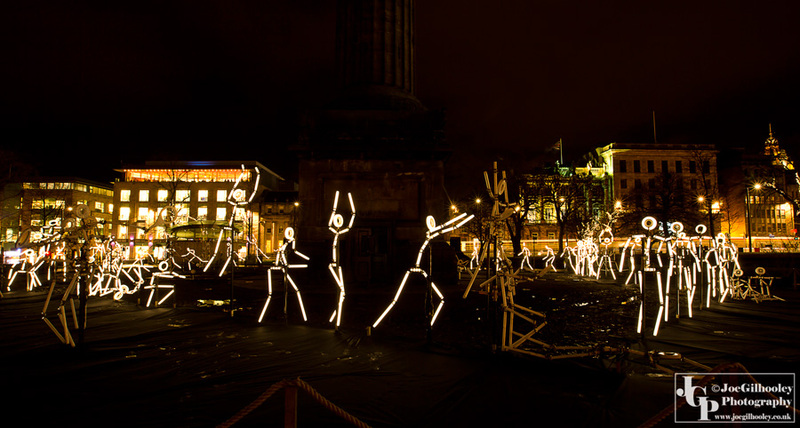 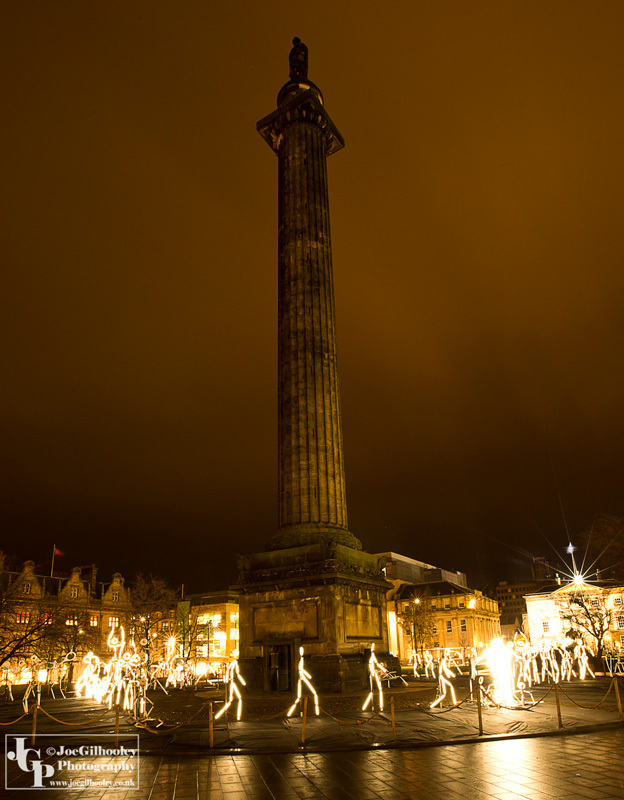 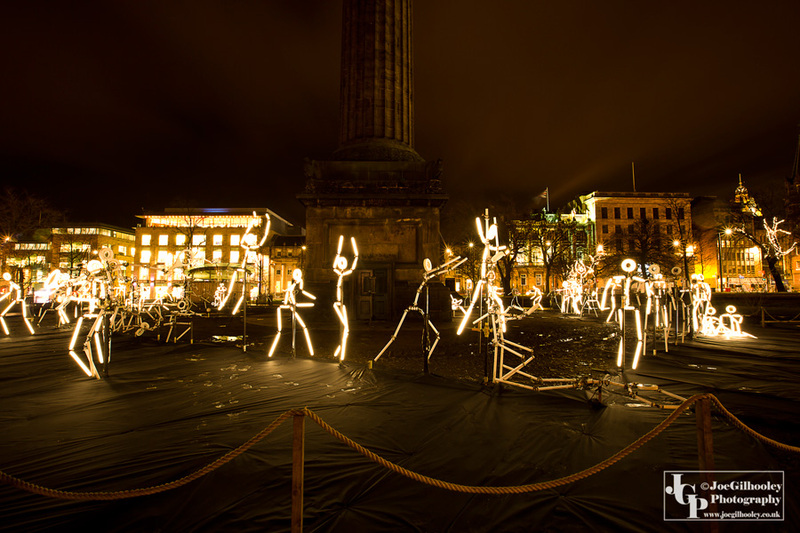 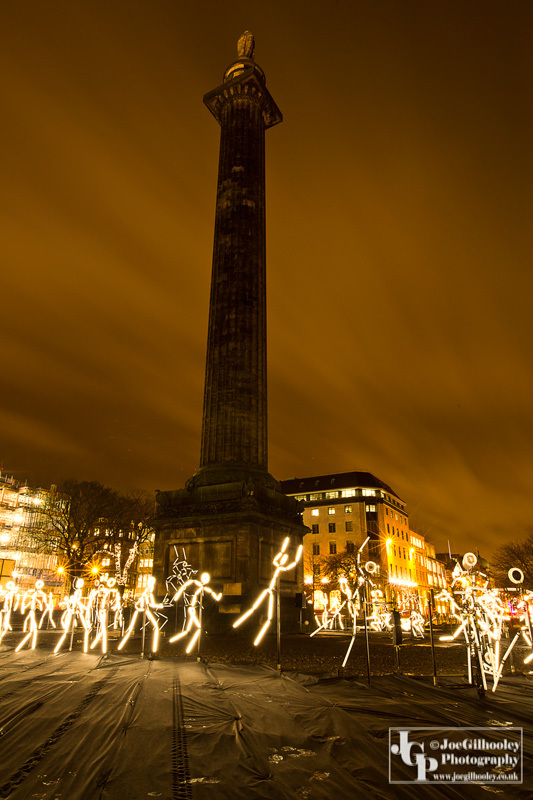 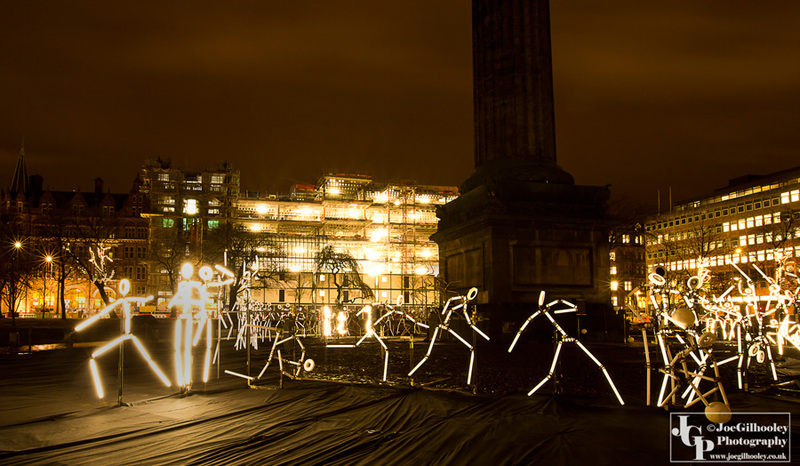 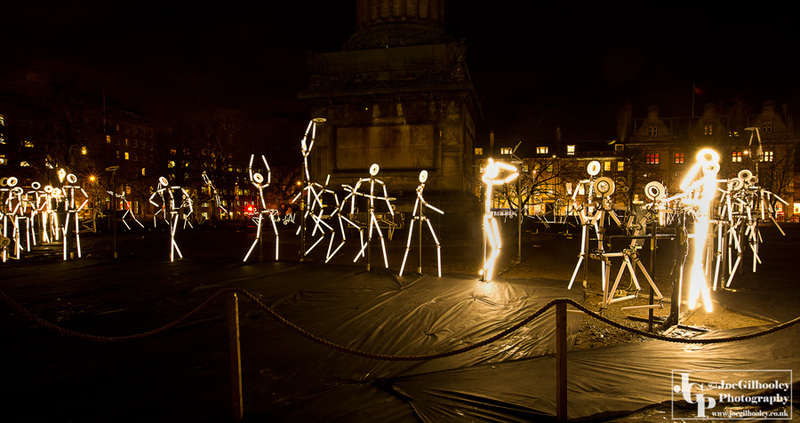 First night of the Spectacle of Light - Stick Figures in St Andrew Square Edinburgh. 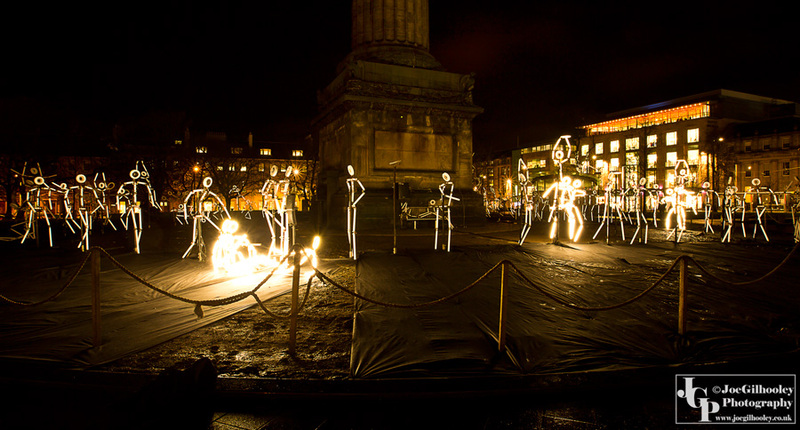 The figures light up in time to eerie music that is played over speakers. 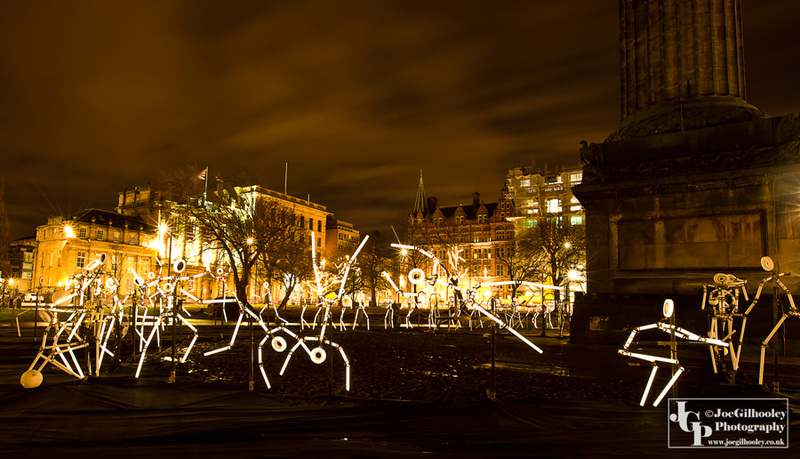 It is there for a few weeks. 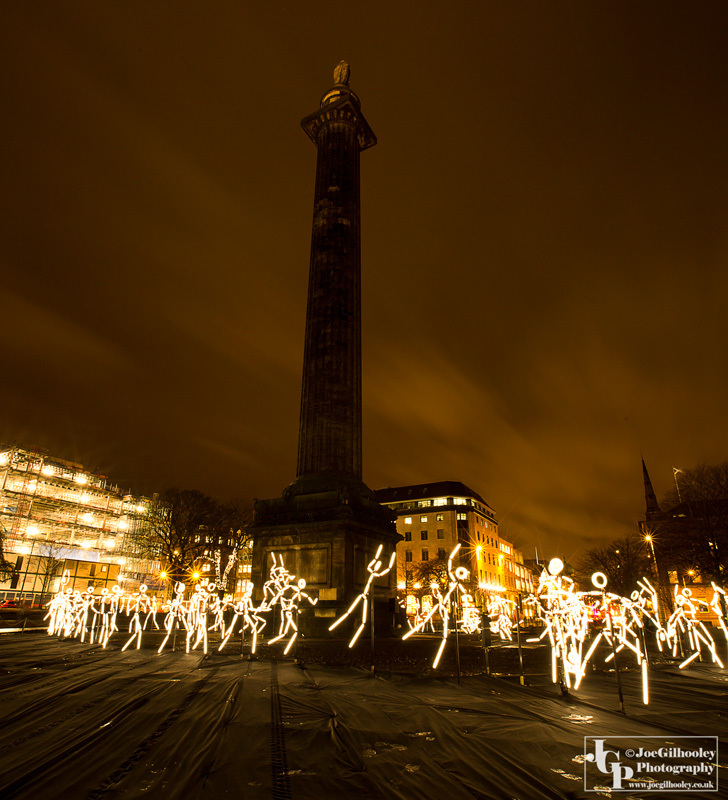 I plan to go back and try different photography ideas out.